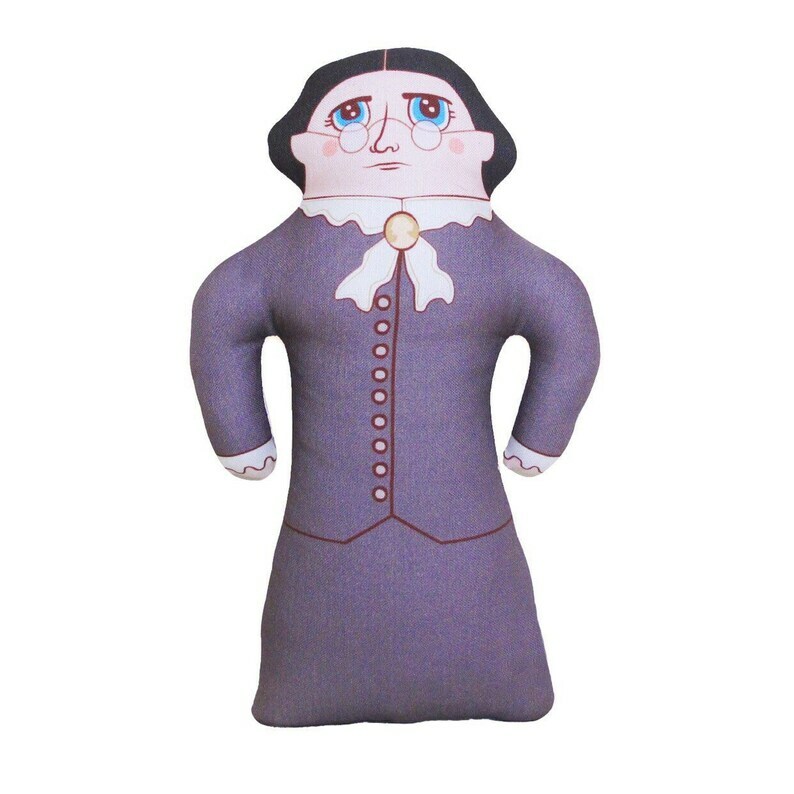 "You know my Suffragette [pillow doll] .. Is outta sight ... She's all right!" All pillow dolls feature original illustrations by owner + maker Chen Reichert. Printed with water based non-toxic inks on cotton fabric, hand stuffed with recycled polyester filling, and sewn onto a colorful printed cotton fabric. Machine or handwash cool with phosphate-free detergent. This was an awesome addition to my study about GWC. Love it! Shipping was so fast and customer service was excellent! Even better, my 1 year old daughter, who loves Freddie Mercury with all of her little heart, can now can “him” around with her, she absolutely loves the doll and actually recognizes him from the 86 Wembley concert. Thank you so much!!!! Payments can be made via Etsy's direct checkout or Paypal. CT shoppers will be charged 6.35% sales tax. If you are not happy with your purchase please let me know as soon as possible so that we can work on a solution. Please note :: Buyers are responsible for return and exchange shipping fees. Orders are shipped via USPS First Class Mail with delivery confirmation. Orders of two or more dolls will be sent via USPS Priority or Parcel post with delivery confirmation. Orders will be sent via USPS First Class International mail. First class international does not include insurance or delivery confirmation. Please be aware that International customers are responsible for additional customs charges and fees associated with their package. Please send me a convo if you'd like to upgrade your order to faster shipping or add insurance to your package and I can send you some options. Wholesale orders are welcome! Just send an email to info [at] lategreats.com and I'll send you a reply shortly with current pricing and information. Thank you! Custom orders are welcome as well! Contact info [at] lategreat.com for a quote.